Singleton Council pound (NSW) is what those in the animal rescue biz like to call a CRS... a Classic Rural Shitbox. Animals are exposed to the elements and the regular weather extremes of heat and cold. Animals are exposed to the elements and the regular weather extremes of heat and cold. This week local animal advocates have amplified their ongoing complaints over animal care, as the dogs in the facility have been without beds and were sleeping on the concrete floors. In winter. And while beds that were sourced and donated, sat unused. 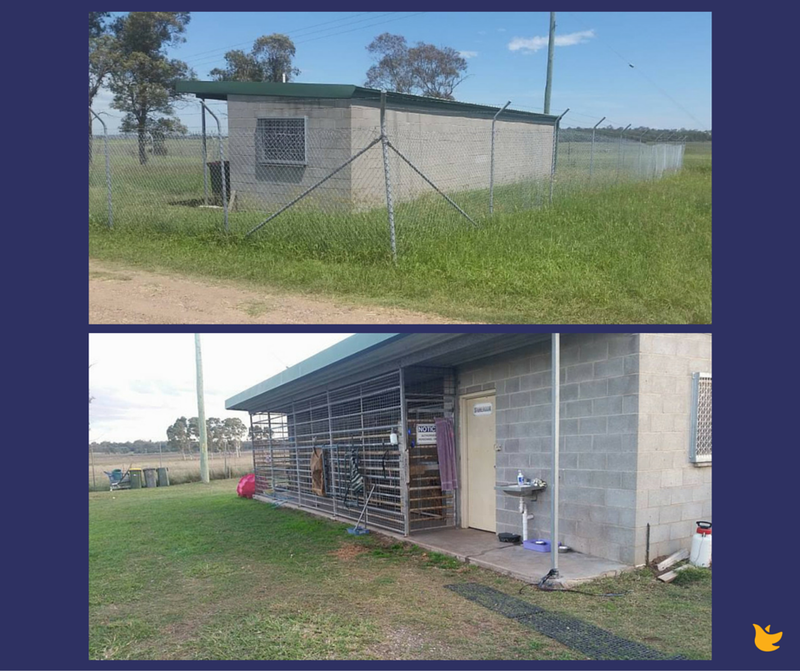 Singleton Council only has a small animal holding facility which is not designed to hold animals long term passed their impound date. This is why Council works so closely with rescue groups and shelters throughout NSW to rehome lost and surrendered animals. Which is just. so. great. I think we all wish we could offload 50% of our daily workload onto a community, volunteer workforce, standing by willing to do this work for us for free, no? After a public Council meeting on Monday night where local animal advocates spoke of the abhorrent treatment local pets were enduring on the community’s dime, Council’s general manager, Jason Linnane was “… quick to commit to immediately improving the conditions...” at the pound. Which shows *exactly* the power of having local animal advocates investigating and auditing their local council pounds and then being brave enough to speak out on same.